I’ve written about my love of Pear Tree stationery before, and I’m excited to help them spread the word that they have crossed the border and they are now available in Canada! In perfect timing for the holiday season, I received a $100 site credit to Pear Tree for this review. 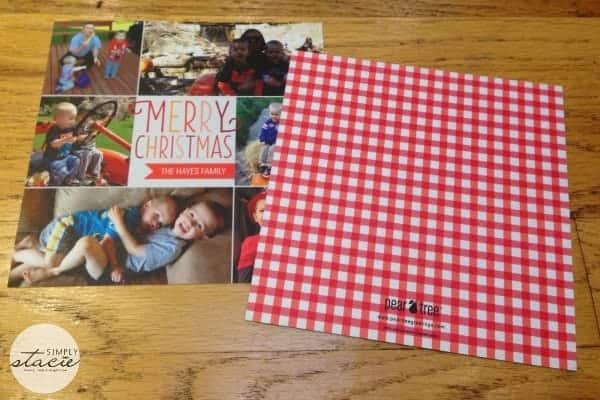 I spent so much time in their 2013 holiday card selection and fell in love with card after card. I finally had to enlist the help of my husband to help me narrow down my choices. There were so many great options to choose from – tri-fold, shaped, photo cards, letter cards, traditional designs, modern designs, and even designs from the dog! The one we chose for our holiday card this year fit our style perfectly – it’s called Checkered Cheer. I love the simplicity of it, and since I can never narrow down my photo choices, it was nice to be able to use six pictures with this card. Personalizing this card was a breeze, and uploading the pictures I wanted to use took only a few minutes – and what’s neat is that you can now upload pictures straight from your Facebook account. 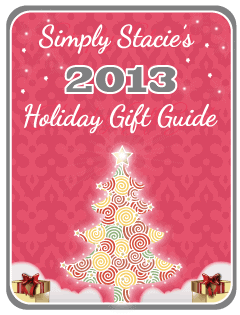 Another fun feature of this card style is the backing – I think the red checkered design adds such a nice holiday flair. The Checkered Cheer cards start at $1.75 each and go as low as .87 cents each depending on quantity. In addition to the fabulous cards Pear Tree has to offer, I love that I can get all the holiday stationery accessories I need from them as well. After adding my holiday cards to my cart, I went to check out the matching Charming Ribbon return address labels. It was an easy decision for me to personalize these and add these to my order. At only .33 cents each, these labels are an inexpensive way to add a little Christmas cheer to my envelopes. Pear Tree is a small 16-person team dedicated to making beautiful things out of paper. They are constantly innovating to come up with new folds, new styles, and new shapes that hold up to their own tough standards of quality. 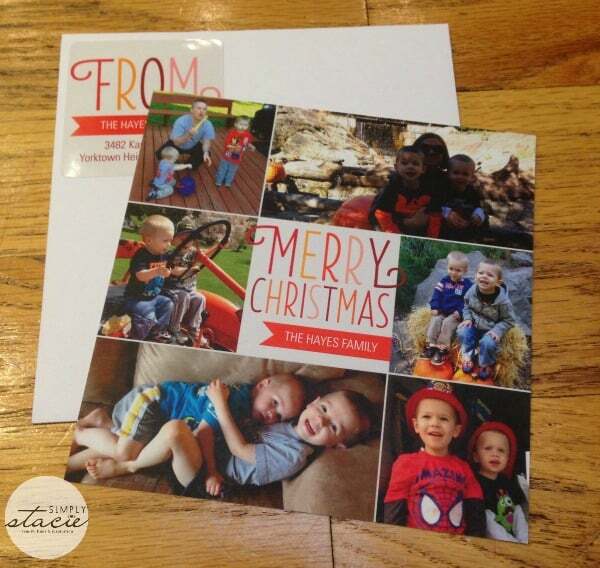 From wedding photos to baby announcements, holiday cards to birthday invitations, Pear Tree has you covered. 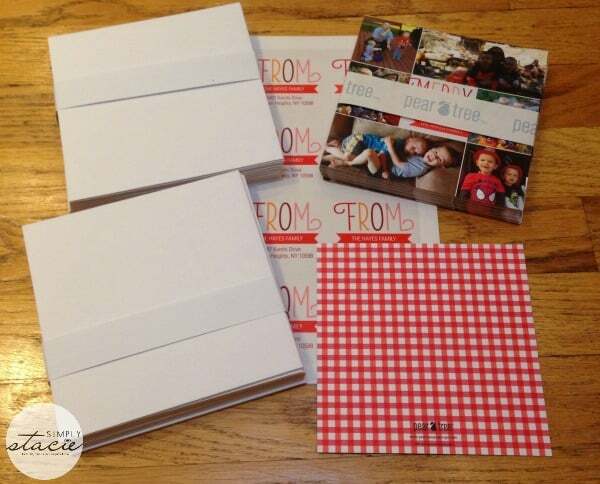 Beyond just cards, you can also count on Pear Tree for a great selection of thank you cards, return address labels, favor tags, notepads, and some great new gift ideas like personalized kids placemats and coloring books. They’ve also launched a new program benefiting a great cause. Refer a friend when ordering product from Pear Tree and earn $20 for you, $20 for your friend and $20 for CaringBridge, the nonprofit communications hub used for families in crisis. i love the thank you cards…we have received a lot of help from people this year and REALLY need to send out cards!! I love their Christmas Cards. I like that you can get labels. I liked the gold chevron christmas cards. I love the Vintage Poster wedding invitation.